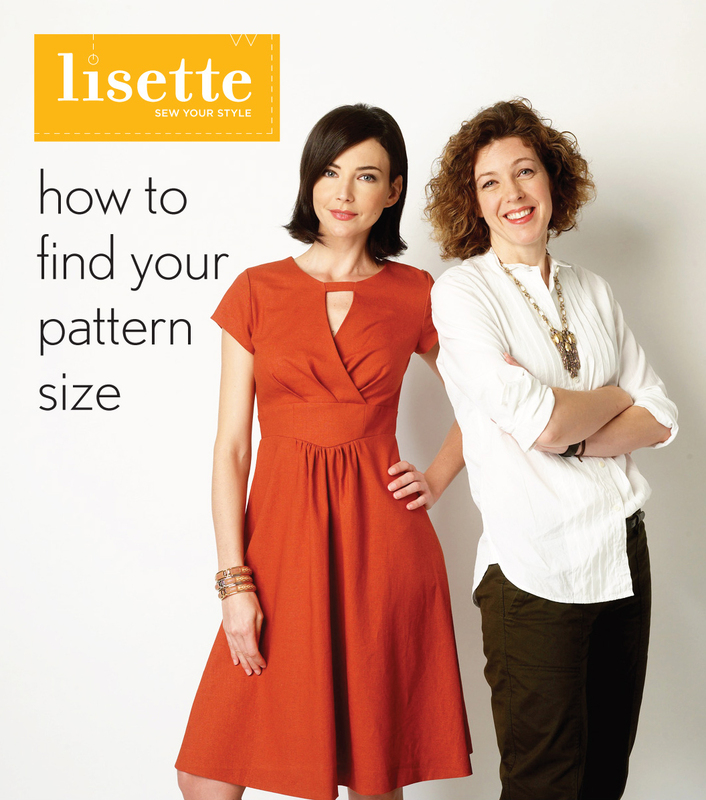 One of the most frequent questions we hear regarding the Lisette patterns is about sizing. I know that sewing pattern sizes can be really confusing, especially since patterns made by the major pattern companies don’t correspond to any clothing sizes you buy in the store. I’ve talked about pattern sizing before, but today I want to talk to you about how it relates specifically to the Lisette patterns and to all the other big pattern manufacturers. Do you want to know why pattern sizes don’t correlate to ready-to-wear sizes? Today I’ll give you a quick history, and then I’ll help you to estimate your size. 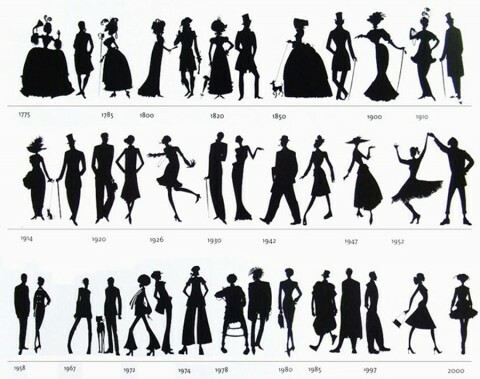 Once upon a time, pattern sizes and ready-to-wear dress sizes were based on bust measurement, and women’s sizes were all more or less uniform. But there’s never really been a standard for women’s sizes, and every manufacturer determines their own sizing. Over time, many clothing manufacturers decided to flatter their customers by offering smaller size numbers. The clothing stayed the same sizes, but the size numbers kept getting smaller so women could feel good about wearing a smaller size. This is usually referred to as “vanity sizing,” and over the past 40 years apparel sizes have gradually strayed further and further from where they started. In the apparel business, each seasonal delivery is its own entity, so if a manufacturer wants to change sizes it’s not a big deal. Women can try on the clothes to determine their correct size relatively easily. But in the sewing pattern business, many patterns stay in print much longer. And you can’t really try on before you buy. So big sewing pattern manufacturers haven’t changed their sizes over time. They’ve done this to make it easier for their customers; consistency is less frustrating than constantly changing sizes to reflect the varying size number of the apparel industry. Wouldn’t it be nice if there was some sort of standard for all apparel, both ready-to-wear and sewing patterns? I don’t think it will ever happen, mostly because different clothing manufacturers design for different ages and body types. But it would certainly make things easier for the customer. In any case, the good news about sewing patterns is that, for the most part, once you find your size you’ll be able to stick with it. You’ll wear the same size for most of the big pattern manufacturers. However, you’ll still want to make a muslin to check the fit and confirm the size. Different designs will include varying amounts of design ease (follow that link to read much more on this topic), so you may move up or down a size now and then. OK? Does that make sense? Now, to find your dress, blouse, or jacket size, you’ll want to focus mostly on your shoulders and upper chest. This is where fit is most critical. Anything below your shoulders can be adjusted to fit: bust, waist, hips, etc. That’s the beauty of sewing for yourself; you can customize to your own body. But the shoulders are crucial to getting a good fit, and when you fiddle with them you start getting into sleeve and armhole territory. These areas are generally more challenging to adjust, so we try to get started with the right fit in these areas and then everything else will be much easier. 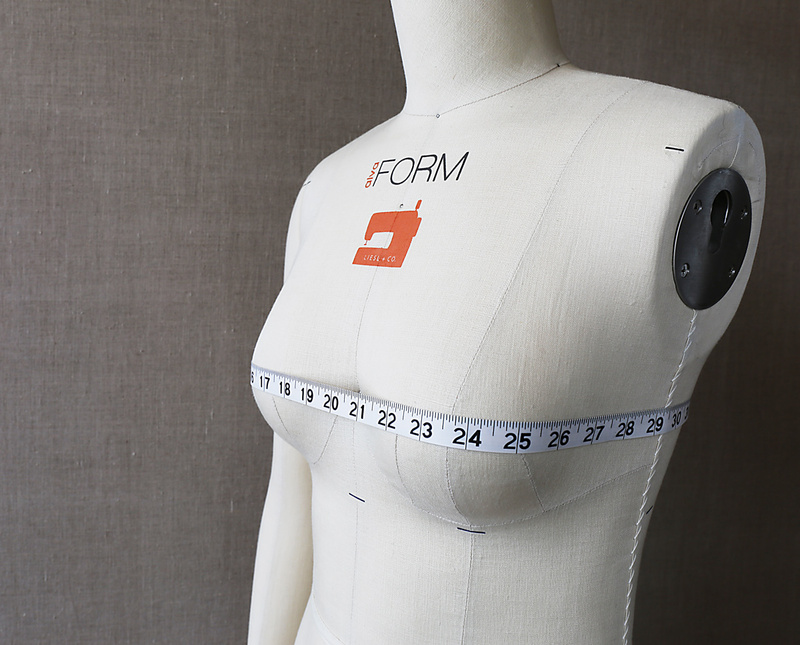 So, to find your pattern size you’ll want to take two measurements: your upper bust and your full bust. Butterick has a straightforward guide to help you find your size, but I’m going to describe it in a little more detail to help it all make sense. Your full bust measurement is just that: the fullest part of your bust. Don’t pull too tightly, and make sure to keep the measuring tape horizontal. Write this number down, because you’re going to need it. Next, take your high bust measurement. You’ll take this measurement directly under your arms, across the top of your chest and across your upper back, again keeping the measuring tape horizontal. Write this measurement down also. Now we’re going to do some quick and easy math. Now you know your cup size (at least as it applies to sewing patterns), but the answer to this simple math problem will also help you to determine what size you wear. If you are an A or B cup, use your full bust measurement to determine your size on the appropriate Butterick size chart. If you are a C or D cup, use your high bust measurement to determine your size. In other words, if you’re a C or D cup, instead of comparing your full bust measurement to the bust measurements on the Butterick size chart, you’ll use your high bust measurement and compare it to the bust measurement. 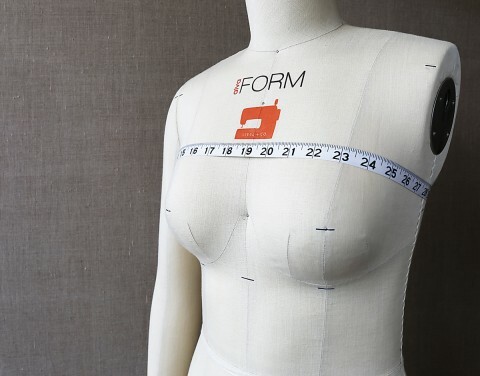 And then, in order to get a good fit, you’ll probably want to do a full bust adjustment (FBA) to the pattern to give you more room through the full bust. But your pattern will already fit much better through the upper bust and shoulders, which we’ve already said is the crucial part. Now, let’s just double-check ourselves, shall we? In general, I’ve found that most women’s pattern sizes are approximately two dress sizes larger than their ready-to-wear size. But there’s a lot of variability in that statement. (Remember that we already said that clothing sizes are all over the place these days.) So that statement won’t be as helpful as the bust measurement information we just covered, but you might find it useful to compare the measurement to your usual dress size + 4 (2 sizes) to see if they’re close. Also, the measurements don’t tell everything! Your body type and build will play a big part in determining your size. When I do fit workshops we look at the measurements, but I also pay attention to each person’s overall body type. If your shoulders are especially narrow, you may need a smaller size than the measurements tell you. If your overall frame is quite full, you may need to go up a size or two. Here is another way to check your size. If you compare all of these methods of determining your size you’ll hopefully get a sense of what your size is. But the best way to check is to make a muslin. And before I forget, when it comes to pants and skirts, you’ll want to look mostly at the waist or hip measurement to determine your size, depending on the style and the details of the style. I’ll talk a little more about that when we sew the trousers. Now, I know you’re going to have a lot of questions. And I probably won’t be able to address them all specifically, especially since I can’t see your body–which is the best way to evaluate size. You’ll need to do some work, too, to make a muslin or two. And you may want to invest in this fantastic fit reference book, which is truly invaluable and will help you to make all sorts of fit adjustments. It’s also loaded with useful information. But hopefully this information will get you started and will help to demystify the size question. Aaaargh, I’ve bought the wrong size patterns, and not even just one pattern! My sizes are all over the place with the different methods of figuring out size. (14, 12 , 10) My real problem is I wear an A size bra. So I have never even thought about worrying about FBA’s or bust interference with sizing. But! my high bust measurement is 3 inches less than my bust measurement. That puts me at a C. Am I wearing the wrong size bra? or Something? Jennifer – I thought I was a C cup and got a professional bra fitting. They put me in an E cup. They showed me how much better my clothes looked when I wore a bra that fit right. My band size went down but the cup went up. You might want to get checked – it’s a pleasant surprise. Mary, I went in today and had a bra fitting. I was quite a bit off in the bra size I was wearing. Hopefully understanding this will help me get a better fit. I may actually have to do a FBA! Liesl, thanks so much for this post I would never have understood why I couldn’t get things to fit if I hadn’t read this. If it helps, my shoulders are narrow and a little sloped. Addie, if you’re in between sizes the general rule of thumb is to round up. However, if your shoulders are narrow I’d be more inclined to round down. You’ll be the best judge since you know your own body. Do you have a tutorial for a FBA? I have never done one, and I’ve just spent a considerable amount of time researching, but they all seam to be designed for dresses with darts. I’d love any help you could give or direction to go to read more for the B6168! I didn’t cover a FBA for this pattern. Several women who have made this jacket have found that the FBA isn’t really necessary, but if you find that it is I noticed on the discussion forums that Tereza did a modified FBA and blogged about it. I’m working on the 6183 top which is my favorite design! I’m a bit confused when looking at the measurements. Do the measurements on the center front pattern pieces refer to the finished bust measurements? How much ease has the top? Can’t seem to find that anywhere.